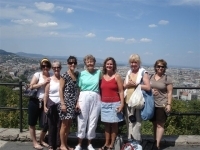 Tours and Vacations for Women by Sights and Soul Travels, LLC is a boutique tour operator, specializing in luxury tours and vacations for women, with destinations primarily in Europe, but also in South and North America and in Africa. The small group tours incorporate sightseeing, outdoor activities, wine tastings, fine dining, spas and luxury hotels, and cultural offerings. The company is based in Germantown, MD, in the greater Washington, DC. The company owner, Yolanta Barnes, has been involved in travel and organizing various tours since 1997, and Sights and Soul Travels was founded in 2004. Every year, she accompanies 3 or 4 tours by herself to assure that the high Sights and Soul Travels' standards are adhered to. Yolanta Barnes is an European, who has been living in the US for over 25 years. She is a business owner, a speaker, an artist, and a student of life. Yolanta is an enthusiastic and gifted teacher and leader and her multi-cultural approach to world travel is what makes the tours truly unique. 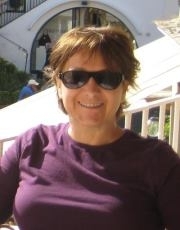 Yolanta has traveled extensively throughout the world, and delights in sharing with others her passion for travel, art, nature, history, and food. I believe women travel differently than men do. We like to get to the bottom of issues, take our time to discover and appreciate cultural differences and get to know the people, not only see the sights. We also like to relax and be pampered. 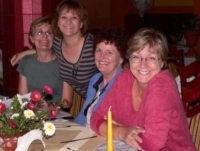 The tours which we design combine this kind of cultural awareness with historical explorations, yet they also include activities which make our travel time true vacations: spa visits, wine tours, slow walks along beaches and hikes in the mountains, leisurely dinners with good conversations, music and opera performances, dance and cooking classes, and of course laughter, new friends and lifetime memories. Yolanta is the primary leader on several tours each year. She shares with the group the European insights, drawing on her knowledge and understanding of complex historical and cultural issues. Yolanta brings with her the enthusiasm and appreciation for the arts and history, developed through her many years as an art museum docent.